Important: OAuth 1.0 was officially deprecated on April 20, 2012, and is no longer supported. We encourage you to migrate to OAuth 2.0 as soon as possible. 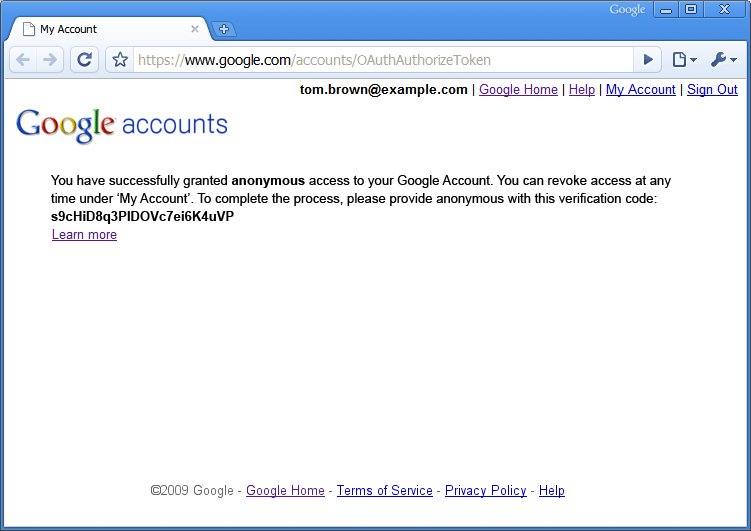 This document describes how to get started using Google's implementation of the OAuth protocol to authorize an installed application's requests for access to a user's data. 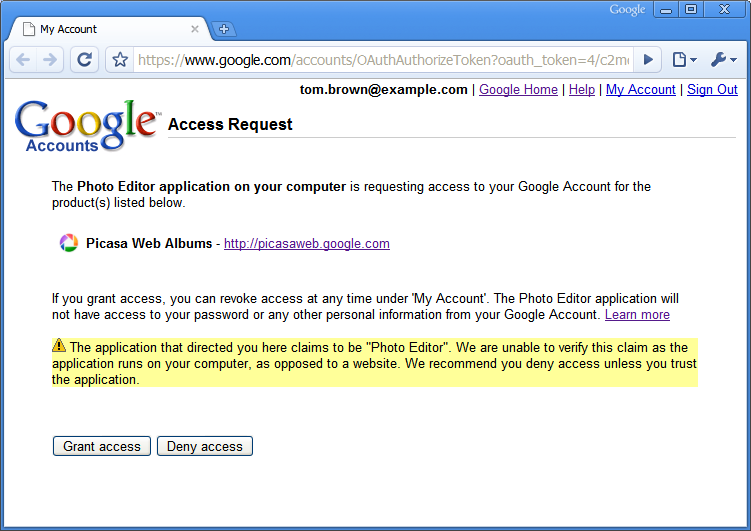 If you are writing a web application you should read the documentation on OAuth for Web Apps instead. OAuth offers a more secure authorization process than alternative protocols, and its widespread support allows developers working with multiple services to create a single OAuth-based authorization solution for a variety of services. Installed applications benefit from Google's OAuth support for unregistered applications, as well as additional options for returning verification information to the requesting application. This document is written for application developers using the Google Data APIs to access a user's data. The document assumes that you are familiar with the principles behind OAuth, and that you know how to make GET and POST requests over HTTPS. For background information on OAuth, see the Beginner's Guide to OAuth. For service-specific authorization issues, see the documentation for the API you are using. Last updated December 3, 2015.